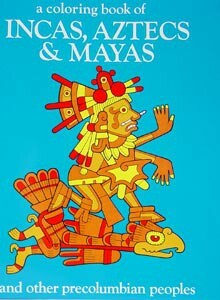 A Coloring Book of Incas, Aztecs and Mayas. The Pre-Columbian civilizations had some masterly artists. This book contains their finest work. There are ball players, dancers, calendars, counting devices, & an array of gods. From Bellerophon Books.